Beautiful! Both the pictures and the words! 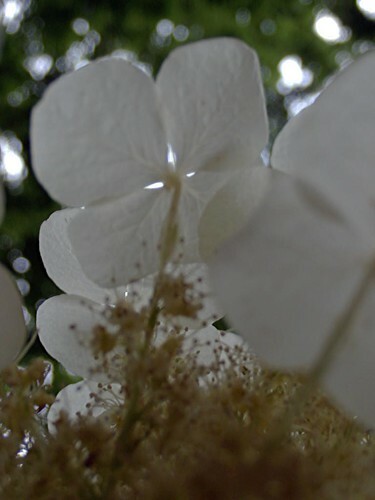 Your hydrangeas are already in bloom? I like the collage for these images. What lovely, dreamy photos! Your words inspire and guide me today! Thank you! How pretty! I've never seen that plant before. The flower petals remind me of delicate moth wings! I've never see those either... such beauty in their bold transparency. I have not seen these in white; we have pinks and purples; these are like flower angels. Strong, vibrant haiku. Well done! There is an innocence and sweetness to white! You captured it well! Very pretty. 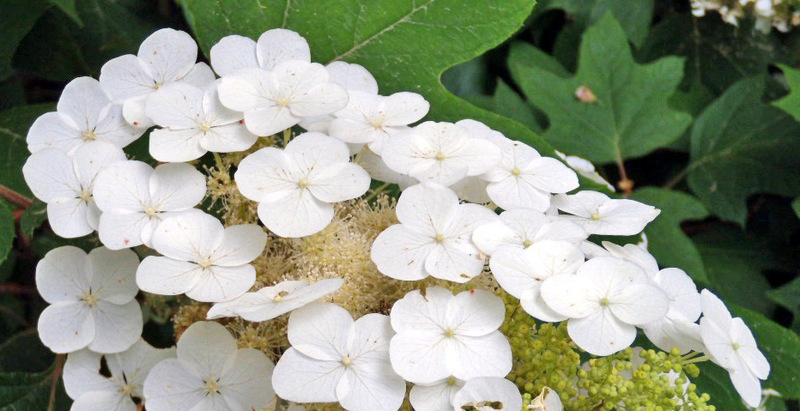 There's something especially beautiful about white flowers, isn't there? I wonder if I could be transparent and bold at the same time ? I think I'm going to try it ! I love white blossoms. Lovely collection! What a beautiful pure and inviting post. Glad to be back in blogsphere.. Feeling much better now especially after viewing this whilte beauties! That white is so distinct and pure. Catches the eye for sure. Beautiful. my very first thought was... that could be a wedding arrangement. simplistic. beautiful. Thanks for visiting Naturestop and your kind words.Really liked your post.The blooms are so beautiful and pure. yes, white cleanses my soul! so lovely, my friend. I love your haikus, Elk. Beautiful images of white. 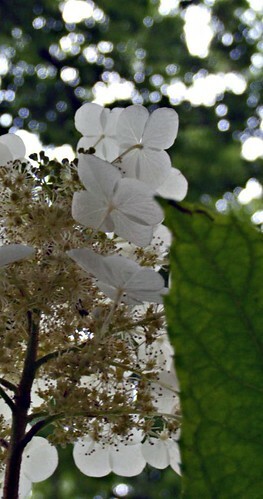 To me, there is no beauty like a hydrangea.